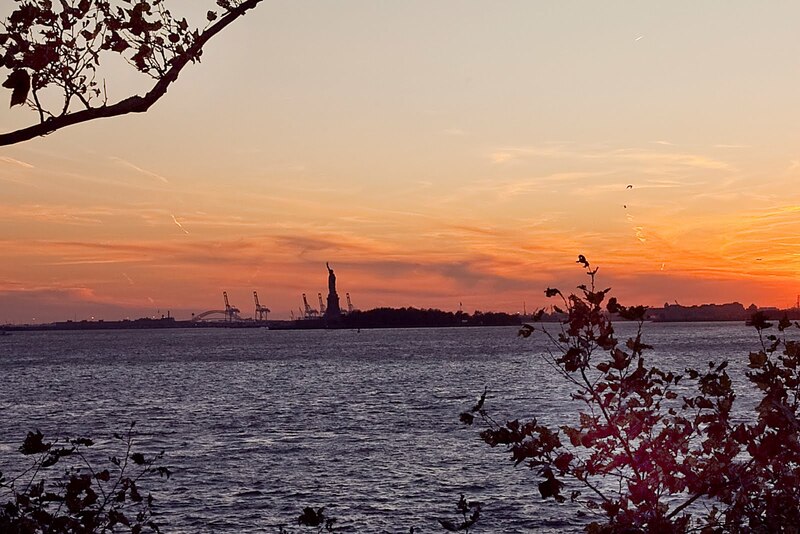 Due to the destructive effects of Hurricane/Superstorm Sandy, the Clemente Soto Vélez Cultural and Educational Center (home to HOLA) is without electrical power. As a result, the staff of HOLA has not been in the office these past couple of days and will not be in the office the rest of this week. 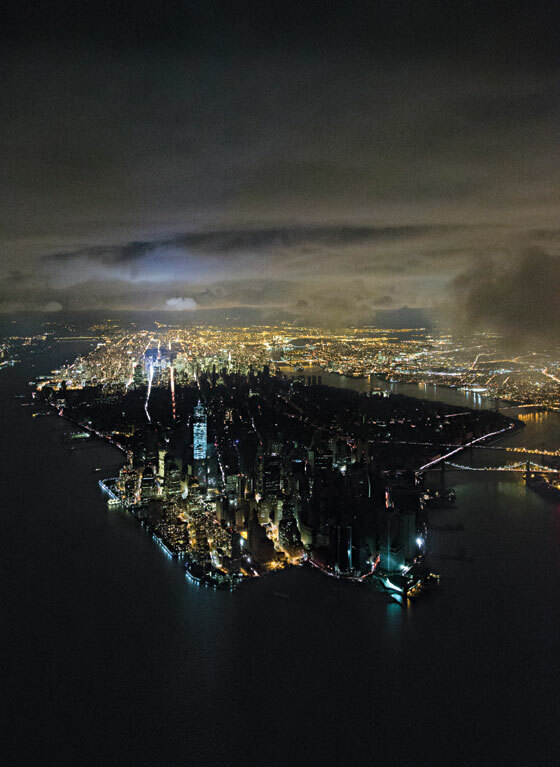 We at HOLA would like to thank the first responders, firefighters, police officers, emergency medical technicians, national troops, utility repair crews, transit workers, newscasters and volunteers who took care of the city during the storm and who are helping to restore the city to normalcy (well, as normal as New York City gets). Our thoughts go out to those who suffered losses during this horrible and tragic ordeal. To our members, friends and people in our community, we at HOLA know that, to a certain extent, the show must go on. To that point, we will try to keep you up to date on any news through this blog, our Facebook page and our Twitter site. (Top row, left to right): Jay Álvarez, Jason Arellano; (second row, left to right): Aleksandr Bible, Anaridia Burgos; (third row, left to right): Johanna Carden, Marco De Castro; (fourth row, left to right): Ernesto De Villa Bejjani, Ángel Fajardo; (fifth row, left to right): Marlene Forté, Laura Gómez; (sixth row, left to right): Carlos A. González, David González; (seventh row, left to right): Horacio Gordián, Norberto Morán; (eighth row, left to right): Rafa Reyes, Bones Rodríguez; (bottom row, left to right): Bertín Saavedra, Yane Suco. Not pictured: Tata Rópez, Patricia Trujillo. J.F. Seary booked an Oxford Shakespeare Company (OSC) production of William Shakespeare’s As You Like It (directed by Ron Song Destro). 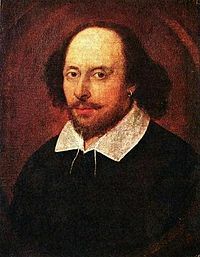 The play will have a run in May in Stratford-upon-Avon, England and peformances sometime late in New York City. For more information, click here or here. Inma Heredia hosted Dancing Empire: Four Hundred Years of Spanish Dance. The Balam Dance Theatre presentation occurred in October at the Leonia Public Library in Leonia, New Jersey. For more information, click here. Carlos Lobo, shown at left, is currently on tour in Germany in a stage adaptation of The Full Monty. Adapted by Peter Cattaneo (who directed the film version of the same name) from the screenplay by Simon Beaufoy, the play is directed by Gerburg Jahnke. In addition, he dubbed the voice of Javier Bardem in the movie Skyfall (directed by Sam Mendes) for the German translation. For more information, check out the Mirjam Moll article in Morganweb, which is in German, by clicking here. Judy Torres will be one of the headliners of the Freestyle Free for All on November 10, 2012 at Trump Taj Mahal’s Mark Etess Arena in Atlantic City, New Jersey. She will also headline the sixtieth birthday party for record producer Sal Abbatiello. Presented by Fever Records, the event will take place on November 21, 2012 at Copacabana located in the theater district of midtown Manhattan. For more information, click here or here. The feature film Under My Nails opened in theaters all across Puerto Rico this past weekend. 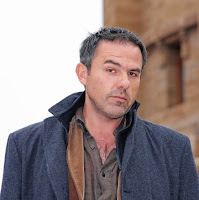 Written by Puerto Rican actor-writer Kisha Tikina Burgos and directed by Arí Maniel Cruz, the The film stars Iván Camilo, Burgos, Maité Bonilla, Rosie Berrido, Marilú Acosta, Dolores Pedro, Enrique Juliá, Miranda Purcell and Antonio Pantojas. Camilo, shown at right, was also the subject of a profile in the Puerto Rico newspaper El Nuevo Día. To read the article (which is in Spanish) by María Ivette Vega Calles, click here. Teatro Las Tablas is presenting Ricardo Prieto's Asunto terminado. 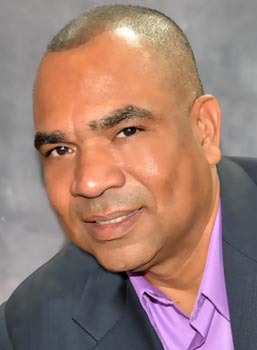 Directed by Antonio A. Méndez, the play stars Méndez and Yolanny Rodríguez will be presented in October at the Third Annual Festival Hispano de Teatro at the Comisionado Dominicano de Cultura en los Estados Unidos at its space in the Washington Heights area of Manhattan. It will then tour the Dominican Republic in November. For more information, click here or here. As the 2012 theater season winds down and I plan the next set of shows I'll be directing at the Secret Theatre in Long Island City, I was thinking of the past season of shows that I saw in New York. I was shocked at how many plays-- contemporary plays-- lacked a Latino presence unless it was specifically a Hispanic character. So if the character breakdown was "Eric, male, 20s, lawyer", most of the time it would be harder to see a Latino for the role. Now mind you I'm talking about plays where race is not playing a major factor in the plot of the story. For some reason I feel that contemporary plays lack a colorblind casting element when it pertains to Latinos. If they are not actively seeking a Latino or the role is race-specific for the plot then they are not to be found onstage. Except when it comes to the Bard. For some reason, people seem to be more flexible in casting color with his plays. I've seen productions where the Shakespeare play was set in Chicago in the 1920s and you have practically a Benetton ad of colorblind casting, but if you do a contemporary play in the 1920s it is whitewashed. Is it just that William Shakespeare was that good of a playwright? I'd like to think so but I also think that what makes this possible is he truly understood the power of theater. He was a man of the theater and knew that when he couldn't fly in a huge set he would just trust the audience and his actors. We need to be in Verona so "here we are in fair Verona...." Pow, the audience accepted it. Not to mention all the roles in that era were played by males so when Romeo is courting Juliet the audience had to suspend belief and believe he was falling for a young woman. But Shakespeare also used this to his advantage as we see in his play Twelfth Night, or What You Will. "I am the man," says Viola, originally played by a male actor playing a woman who dresses up as a man, while Olivia who is a real woman in the play falls in love with her, but is also a male actor in drag. This is comedy gold. The audience ate this up. Hell, we still do. His plays are performed more often than any other playwright in the world. So when you go to watch a Shakespeare show, it is built INTO the play that we are at the theater. The heightened language, the magic, betrayal-- everything that makes you want to direct, audition, or watch Hamlet for the hundredth time is in the text. 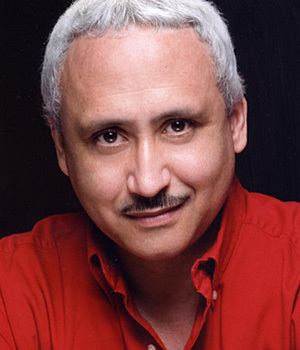 He is a playwright for the theater and his stories can go beyond color or ethnicity. 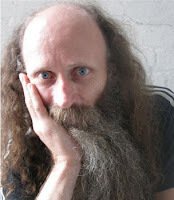 Maybe directors, casting directors and contemporary playwrights should look to him more often. To look outside the box and remember that the power of theater is the fact that it is NOT television or film. On film, we cut to the real streets of Venice... on stage we can use the power of words. The power of the playwright still lives in his words and plot. Just because the breakdown in a contemporary play says, "Eric, male, 20s, lawyer", doesn't mean the character is ONLY one color or ethnicity. To remember to write for the theater and its conventions, not to attempt to make a movie on stage. 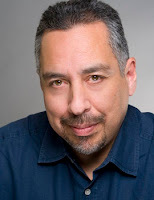 Shakespeare knew that "the play's the thing...."
Alberto Bonilla is an actor, playwright, director, teacher and HOLA member. He currently teaches the Film and TV class at the Maggie Flanigan Studio and is a resident director at the Secret Theatre. 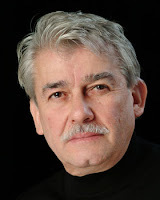 He recently directed a production of Shakespeare's Twelfth Night (for the Secret Theatre) and acted in another production of the same play for a different theater company. The Indira Páez play Mujeres de par en par (produced by IShow Productions and Bios Live Entertainment Concepts) transfers to Centro Español (located in Manhattan's West Village) for a November run. The play is directed by Alfonso Rey and stars Mariana Buoninconti, Sandor Juan, Yajaira Paredes, Miriam Pinedo, Rey, Mafer Rodríguez and Riczabeth Sobalvarro. For more information (and to buy tickets), click here. Pregones Theater will kick off its 2012-2013 season by presenting three of their production in what they call a "Repertory Remix!" The productions will happen between November 1, 2012 and December 2, 2012 at Pregones' eponymous theater space located in the Mott Haven section of the South Bronx. • Dancing in My Cockroach Killers is based on the poems and monologues of Magdalena Gómez and is directed by Rosalba Rolón. The cast includes Rosal Colón, Sol Crespo, Shadia Fairuz, Elise Hernández, Jesús E. Martínez and Omar Pérez. Musical direction will be provided by Desmar Guevara with live musicians Anthony Carrillo, Nicky Laboy and Benji Willis. 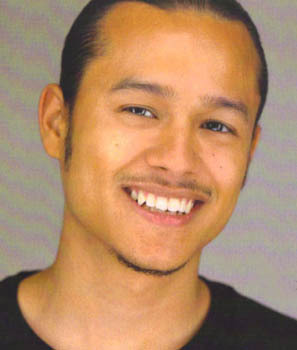 The production is choreographed by Antonio Vargas. For more information, click here. • El apagón/The Blackout is adapted from the story "The Night We Became People Again" by José Luis González. 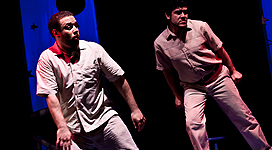 Directed by Jorge B. Merced, the production stars Omar Pérez and Johary Ramos, shown at right (an all-HOLA member cast) with musical direction by Desmar Guevara. For more information, click here. • Baile cangrejero is based on the works of poets Julia de Burgos, Luis Palés Matos, Fortunato Vizcarrondo, Nicolás Guillén, Nicomedes Santa Cruz and Manuel del Cabral. The production is directed by Jorge B. Merced and stars Antonio Vargas and Yaremis Félix with musical direction by Desmar Guevara. For more information, click here. J.F. Seary will be performing in the presentation In The Cypher. 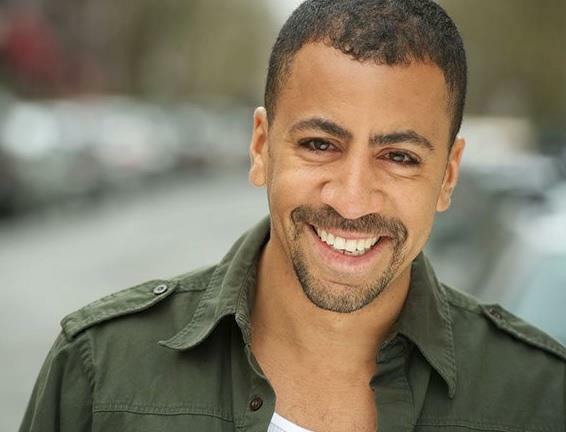 Conceived by Sarita Covington and Gamal J. Palmer and directed by Jordan Mahome, it will be produced in November at the WOW Café Theater, located in Manhattan's East Village. Johanna Carden stars in the webseries "Whatever It Takes", which she also wrote and executive produced. 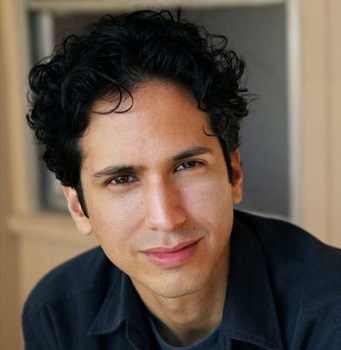 The webseries is written by Chris Carden, directed by José Avilés and stars Ismael Cruz Córdova, Jay Álvarez and Milagros Ysálguez. A teaser for the webseries can be seen by clicking on the video below. Best known for her multiple award-winning solo show Brownsville Bred, Del Valle enjoys an illustrious commercial career spanning over a decade. She currently has seven commercials running. This year Del Valle began a career as an independent casting director and has already cast for such brands as KFC, AARP and McDonald’s. Demystify the process and understand the nature of commercials from start to finish... and from different perspectives. 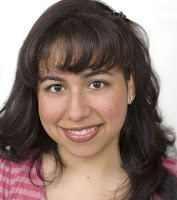 Del Valle often calls people in for auditions from the HOLA membership online directory. Bring your headshot and resume to the seminar. All proceeds from this seminar will benefit HOLA. 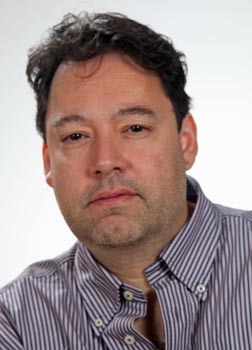 Manuel Herrera, HOLA Special Projects Director, actor, director and voiceover artist, will direct an advanced voiceover technique workshop for the experienced actor who wishes to fine-tune his/her technique. 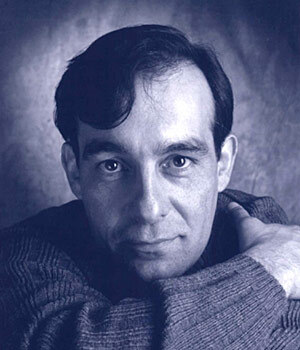 The workshop covers: diction and voicing in Spanish; interpretation and rhythm; character voices, and narration; professional audition and quick study techniques. 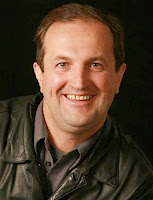 Previous HOLA voiceover workshop students invited. Applicants should supply blank CD to record work progress. Optional production of demo tape available at additional cost. Actual voiceover copy will be used for this series. Small classes. 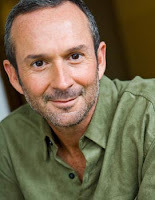 Spanish language voiceover jobs provide the greatest income potential for the Spanish speaking actor. and Delancey streets), Lower East Side, NYC. Visa, Mastercard & American Express cards accepted. They Call Me La Lupe, soon to be a major motion picture. 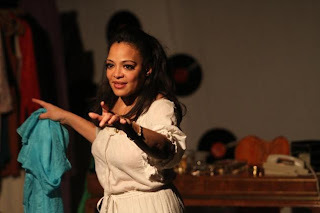 Lauren Vélez (of Showtime's "Dexter" fame) is set to play famed Cuban singer La Lupe (née Guadalupe Victoria Yolí Raymond) in the biopic They Call Me La Lupe. The film is based on the solo show she performed last year (and for which she won an HOLA Award). She is using crowdraising platform Kickstarter to pay for pre-production costs. Check out the New York Daily News article about her and the fundraising campaign by clicking here. Vanessa Verduga, shown at right, was the subject of a profile in Latin Heat for her webseries "Justice Woman," which she created, wrote, directed and produced, and in which she stars as the titular character. To read the blog, click here. Teatro SEA is presenting A 3 voces. Created and directed by Manuel A. Morán, the musical revue features some of the most romantic songs from Latin America's greatest trios, features Morán, Ana Campos, Iván Alexander Bautista and Edwin Vázquez (backed by a five-piece band) in the cast and will run from October 2012 through February 2013 at Teatro SEA's eponymous theater, located in the Clemente Soto Vélez Cultural and Educational Center (home to HOLA) in Manhattan's Loísaida neighborhood. For more information, click here. 2012 HOLA Award recipient J.W. Cortés, shown at left, is scheduled to sing the national anthem before the New York Knicks-Dallas Mavericks game at New York's Madison Square Garden on November 9, 2012. 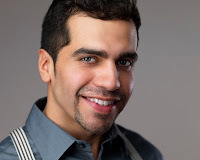 He is also featured in articles by Zona de Sabor, the New York Daily News and on the nationally syndicated program "Access Hollywood" twice (article + video interview). Click on each link in the previous sentence to read and/or see more about him. To know more about all thing Cortés, click here. 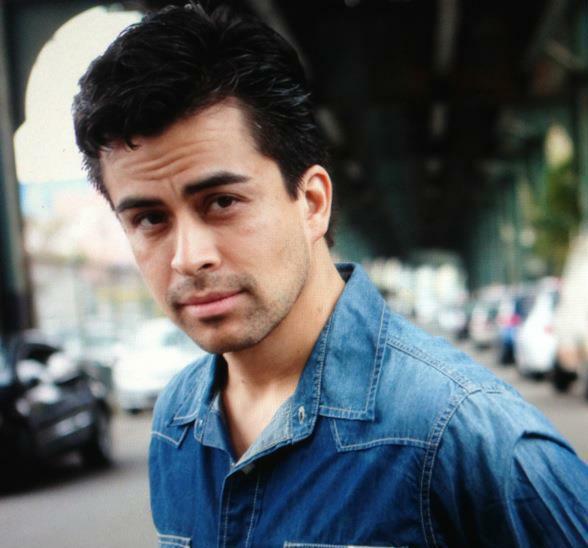 Rodney Roldán booked an industrial for DuPont and a role on Nurse Jackie" (Showtime). Also presented at Repertorio Español as part of its 2012 MetLife Nuestras Voces National Playwriting Competition Reading Series was Agustín Meléndez's play Exclusiva. Directed by Gerardo Gudiño, it featured the talents of 2012 HOLA Award recipient Zulema Clares, 2012 HOLA Award recipient Ana Grosse, 2012 HOLA Award recipient Alfredo Huereca, Pep Muñoz, Eric Robledo, Israel Hernández and Sandor Juan. 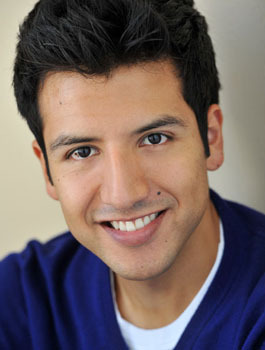 Loren Escandón booked a commercial for Metroplus Medicare, which can be seen by clicking on the screen below. The film Re-Igniting Hope (written by Iván Goris, directed by Arian Blanco and edited by Sonny Khan) is in production. 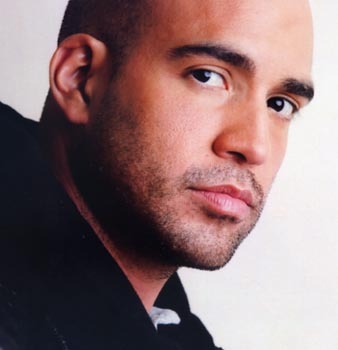 The film is produced by Exploits on the Hudson and stars Nixon César, Ashton Pina and Duval Chamberlain. To see the short film (where HOLA receives a thank you credit), click on the screen below. on a map; they are fictional locales. Earlier this week Disney introduced its first Latina princess. Well, it turns out that Princess Sofia is actually from some imaginary fantasy land. Princess Sofia caused a little bit of controversy last week when several bloggers noted that Disney’s “First Latina” princess didn’t have any Latin traits. Some people praised Disney for not making Princess Sofia a stereotypical character while others criticized the company for placing the label “Latina” on a princess who had nothing to do with Spanish heritage. Nancy Kanter, senior vice president of original programming and general manager of Disney Junior Worldwide, released a statement today saying that Princess Sofia doesn’t represent any “real world” culture. Read the rest of the article (from The Inquisitr) by clicking here. Abraham Makany, shown at right, is part of the production I Hate F**king Mexicans. Written by Mexican playwright Luis Enrique Gutiérrez Ortiz Monasterio (also known as LEGOM) and directed by Danya Taymor (who is herself of Mexican heritage), the play stars Ugo Chukwu and Cristin Eve Cato and is described as "a caricature of Americans as written by a Mexican, just as Speedy González is a caricature of Mexicans as written by Mexicans." The production is running in October and November at The Flea Theater in Manhattan's Tribeca neighborhood. For more information, click here and here. 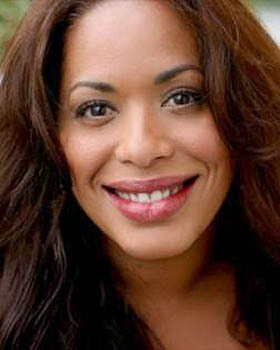 Liza Colón-Zayas booked an episode of "Law & Order: Special Victims Unit" (NBC), which will air on October 24, 2012 at 9pm Eastern time (check local listings). Jeannie Sol and Elle de Amor are in the cast of La plenópera del empache/The Bellyache Opera. Adapted by Manuel A. Morán from the Leopoldo Santiago tale, the production is produced by Morán and also stars Morán, 2012 HOLA Award recipient Josean Ortiz (see below), Daisy Payero, Lina Sarrello, Jorge Castilla, Ana Campos and 2012 HOLA Award recipient Johanna Rodríguez and will have performances in November as part of the Borimix Festival at Teatro SEA's namesake space in the Clemente Soto Vélez Cultural and Educational Center (home to HOLA) in Manhattan's Loísaida neighborhood. Caridad de la Luz (also known by her nom de poésie et de musique La Bruja) will be performing for a thousand of high school and college students at Monroe College in New Rochelle, New York as part of its Latino Fiesta event. For more information on all things La Bruja, click here. 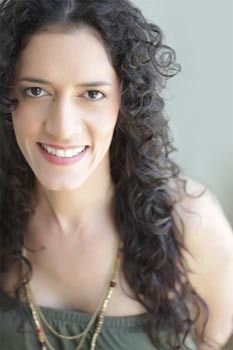 Adela María Bolet is set to appear in The Pickle Queen. 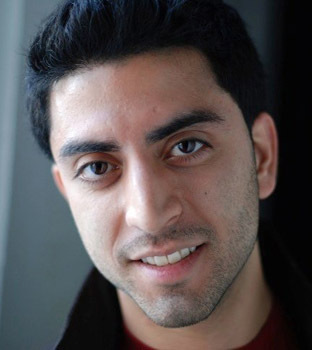 Written by Moe Yousuf and directed by Stephen Cedars, the play also stars Brandon Guidry and Gina Marie Jamieson and will run in October as part of the 37th annual Samuel French Off-Off-Broadway Short Play Festival at the Beckett Theatre on Theater Row in the theater district of midtown Manhattan. Julián Juaquín is set to star in Five Years Later, the upcoming feature film by award-winning writer-director Frank Sooknanan. 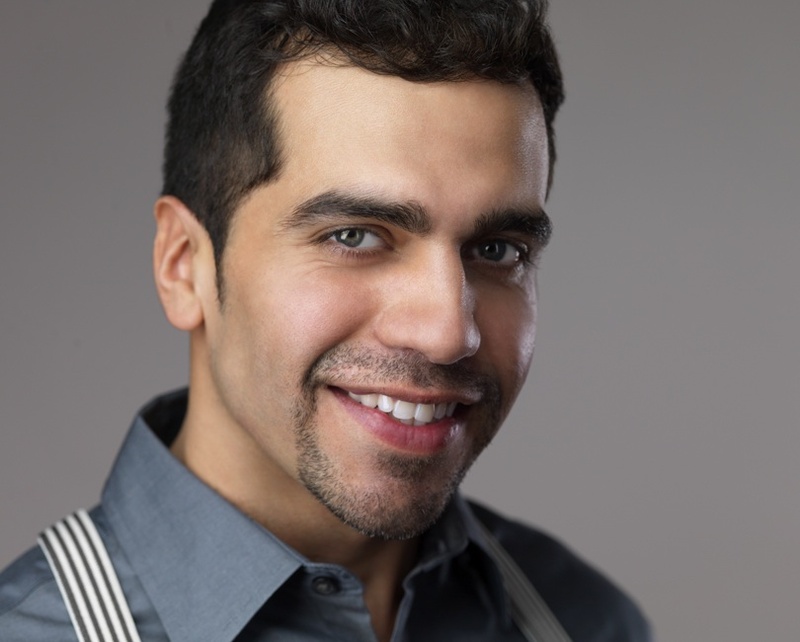 Carlos A. González, shown at right, performed standup comedy at 1691 on Main Café and Lounge in Bridgeport, Connecticut and at Columbia University in New York for its Latin Festival. He will also perform on the first live-streamed comedy and variety show on October 24, 2012 from 7:30-8:30pm (Eastern time) at "The Next Lab Sessions" show, live from YouTube's Next Lab Studios in New York City. To check it out, click here. 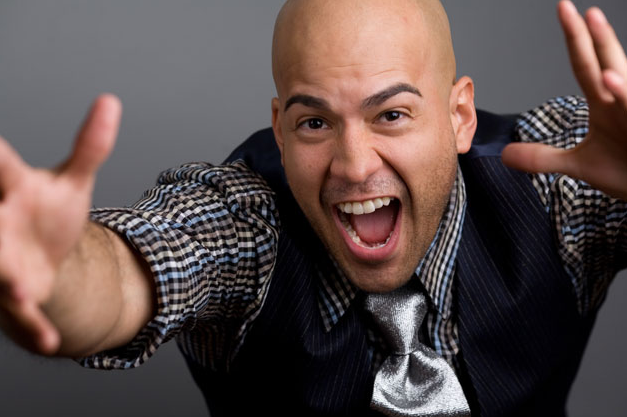 Suni Reyes will be doing standup comedy on October 24, 2012 at The Gutter, located in Manhattan's Williamsburg neighborhood. 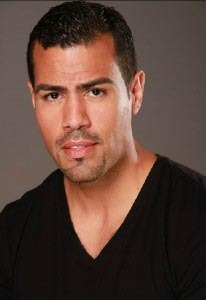 2012 HOLA Award recipient Josean Ortiz (see above) is in the cast of En la tunga de la Joela. 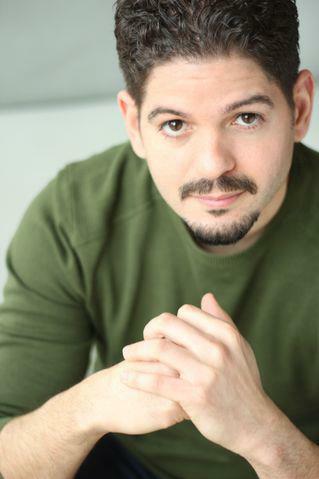 Written and directed by Luis Caballero, the play also stars Joel Santiago, Susan Rybin, Anthony Cotto and Jesús Rodríguez and will perform in November as part of the Borimix Festival at Teatro SEA's namesake space in the Clemente Soto Vélez Cultural and Educational Center (home to HOLA) in Manhattan's Loísaida neighborhood. Liza Colón-Zayas, shown at right, will be in the off-Broadway premiere of Quiara Alegría Hudes's Water By The Spoonful. The production won the 2012 Pulitzer Prize for Drama, making Hudes the first Latina (and second Latino after Nilo Cruz) to win the prize. 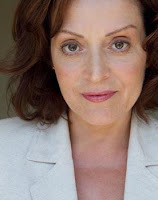 The play, which had its world premiere at Hartford Stage in Hartford, Connecticut, is the second of a trilogy of plays that began with Elliot: A Soldier's Fugue and will be directed by Davis McCallum. Previews at Second Stage Theatre (located in the theater district of midtown Manhattan) start on December 11, 2012 for an anticipated opening date of January 8, 2013. Besides Colón-Zayas, the company includes Frankie R. Faison, Zabryna Guevara (a 2012 HOLA Award recipient), Bill Heck, Sue Jean Kim and Armando Riesco. 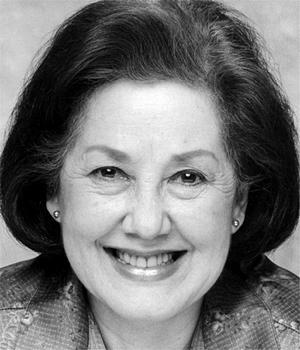 To read the article about the production and Ms. Colón-Zayas in Broadway World, click here. 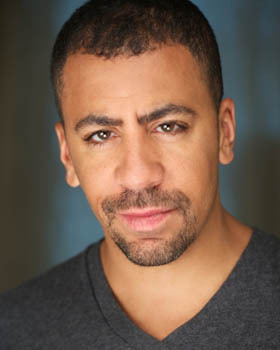 Abraham Makany will be performing in The Honest Whore. Written by Thomas Dekker and Thomas Middleton, it is part of the late-night theater series called The Shakes. Presented by The Flea Theater, it is the inaugural production of the series, in which five teams of actors helmed by five resident directors each perform an act of a classic forgotten drama. The production will run in October and November at The Flea Theater's eponymous space located in Manhattan's Tribeca neighborhood. For more information, click here. The film Elliot Loves (written and directed by G. Terracino, shown at left) and Beauty (directed by Oliver Hermanus) will be the first two films distributed to regional theaters across the United States from theatrical distribution platform Tagg. 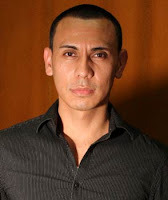 The film was produced by Terracino and Elizabeth Gardner and co-produced by Juan Cáceres, stars Robin De Jesús, Elaine Del Valle (a 2012 HOLA Award recipient), Alfredo Narciso (a 2012 HOLA Award recipient), George Ruiz, Dalia Davi, Monte Bezell, Judy Torres (see below), Cedric Leiba, Bobby DeJesús, Denia Brache and Fabio Costaprado in the cast. For more information, check out this article in Indiewire by clicking here. Judy Torres (see above) is one of the newest models signed to Wilhelmina Models. Ernesto de Villa Bejjani is directing El deseo de Sofía. Created collectively by the company and based on an idea by De Villa Bejjani, the play is produced by 88 Performing Arts Theatrical Company, stars Elena Mohedano and Richard Trujillo, and will be presented in November as part of the III Festival de Teatro Hispano del Comisionado de Cultura Dominicano en Nueva York at its namesake space located in Manhattan's Washington Heights neighborhood. Jeannie Sol performed her cabaret show at Mamajuana's Café, located in Manhattan's Upper West Side. The Walt Disney Company is defending its newest princess following a backlash over her Hispanic-influenced ethnicity. 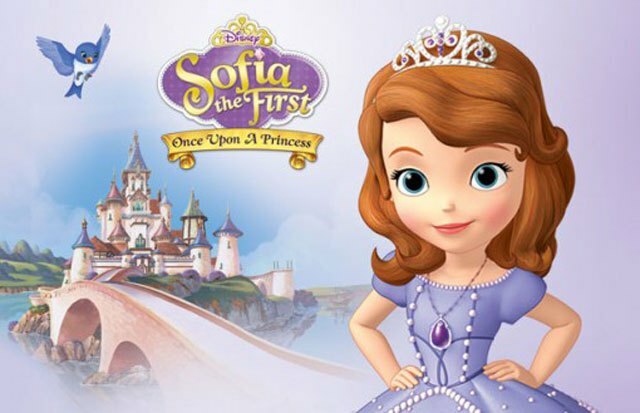 A new character named Sofía will star in the TV movie "Sofía the First: Once Upon a Princess" airing Nov. 18 on the Disney Channel and Disney Junior. Hispanic advocacy groups have questioned whether the fair-skinned, blue-eyed young princess is an accurate representation of the Hispanic population and wondered why Disney isn't doing more to promote its first princess with Hispanic-inspired roots. "They seem to be backpedaling," said Lisa Navarrete, spokeswoman for the National Council of La Raza. "They've done such a good job in the past when they've introduced Native American, African-American and Asian princesses. They made a big deal out of it, and there was a lot of fanfare, but now they're sort of scrambling. It's unusual because Disney has been very good about Latino diversity." Craig Gerber, co-executive producer of "Sofía the First," clarified in a Facebook post on Friday that Sofía is "a mixed-heritage princess in a fairytale world." He said her mother and birth father respectively hail from kingdoms inspired by Spain and Scandinavia, though Sofía was born and raised in Enchancia, a "make-believe 'melting pot' kingdom" patterned after the British Isles. To read the rest of this article from the Associated Press, click here. Disney is all set to premiere a film with its first Latina princess. Named Sofía, she will join Jasmine, Belle, Mulan, Pocahontas, Snow White, Cinderella, Tiana and Ariel as a Disney princess or female protagonist. Princess Sofía, will make her debut on the Disney Channel on November 18, 2012 in the television movie "Sofía the First: Once Upon a Princess," ahead of a 2013 television series on both Disney Channel and Disney Junior. The television movie and the show are geared toward viewers age 2-7. Sofía's appearance has been causing a controversy. The United Kingdom newspaper The Daily Mail notes that she has "fair white skin, light brown hair, and blue eyes, prompting critics to say that she looks more Caucasian than Hispanic." Disney representatives confirmed that Miranda 'is Latina' but they are purposefully avoiding making such statements about the main character. "We never actually call it out," said Joe D'Ambrosia, the vice president of programing at Disney Junior. 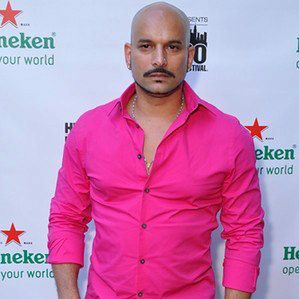 'When we go into schools [to talk to young students about the show], what I find fascinating is that every girl thinks that they’re Sofía," he said during a recent press tour. NBC Latino wrote that a blogger "pointed out that in concept art, Sofía's mother Miranda, the newly crowned queen of [fictional kingdom of] Enchancia had a darker complexion than the other characters." 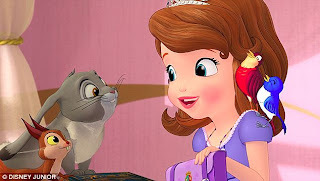 Princess Sofía will be voiced by Ariel Winter, one of the stars of the hit television series "Modern Family" will voice Sofía, while Sara Ramírez (of "Grey's Anatomy" fame) will voice her mother, Queen Miranda. To read the respective articles from The Daily Mail and NBC Latino, click here or here. It is interesting to note that Disney has often hired actresses of Latino descent for its live action television series. To find out more about that interesting tidbit of information, click here. Mauricio Pita, shown at right, booked a Target commercial. 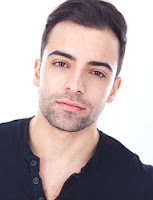 He also booked a role in the production of Federico García Lorca's Bodas de sangre (directed by Enmanuel García) after the director found his headshot on the HOLA online directory and asked him to audition. The production will take place as part of the Tercer Festival de Teatro Hispano del Comisionado Dominicano de Cultura en los Estados Unidos, slated to take place in October and November at the Sala Andrés Francisco Requena (also located in the Comisionado Dominicano de Cultura en los Estados Unidos) in upper Manhattan's Washington Heights neighborhood. The cast also includes Aída Álvarez, Adela María Bolet, Carmen Cabrera, Caridad Del Valle, Yvette Quintero, Johanna Ramírez and Clairet Villamizar. Susana Pérez, shown at left, can be seen alongside Mario Bósquez and Antonio Miniño in the Michelangelo Alasá play All About Meat (The Garcías). The play, also directed by Alasá, is currently running through December at the Duo Multicultural Arts Center, located in Manhattan's East Village. She booked the role after reading about the audition in the daily announcements HOLA sends to its members and self-submitting. The play was called a Critic's Pick of the Week in Time Out New York magazine. For more information, click here. Vanessa Verduga, shown at right, was the subject of a profile in the HOLA Award-winning site NBC Latino for her webseries "Justice Woman," which she created, wrote, directed and produced, and in which she stars as the titular character. To read the blog, click here. Rhina Valentín acted in the film Close Your Eyes (directed by Sonia Malfa), which is expected to hit the film festival circuit. 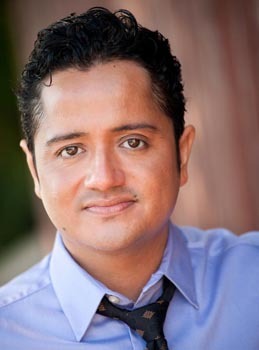 Bones Rodríguez, shown at left, is the author of an e-book titled How To Be A Successful Actor in the Internet Age (under his nom de plume John "Bones" Rodríguez), which is available for purchase by clicking here. 2012 HOLA Award recipients Elaine Del Valle and Miriam Cruz have followed their award-winning success with a new gig. They booked two national commercials for Verizon (one in English and one in Spanish) where they will play daughter and mother.